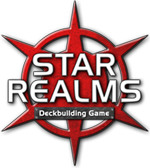 Star Realms is a space themed "deck building game" in the same vein as (and by some of the creators of) Ascension. More information about the game is available from this video by TotalBiscuit, The Cynical Brit and from the Star Realms resources thread. The game is free to download for PC, Mac, Android and iOS. The free demo version includes some tutorials, some single player campaigns and the ability to play against easy ai. For $5 you can unlock the full game. You get the game on all four platforms for that one time purchase. Among the features of the full version are live and asynchronous cross-platform multiplayer across all four platforms, more campaign levels, and the ability to play against medium and hard ai. 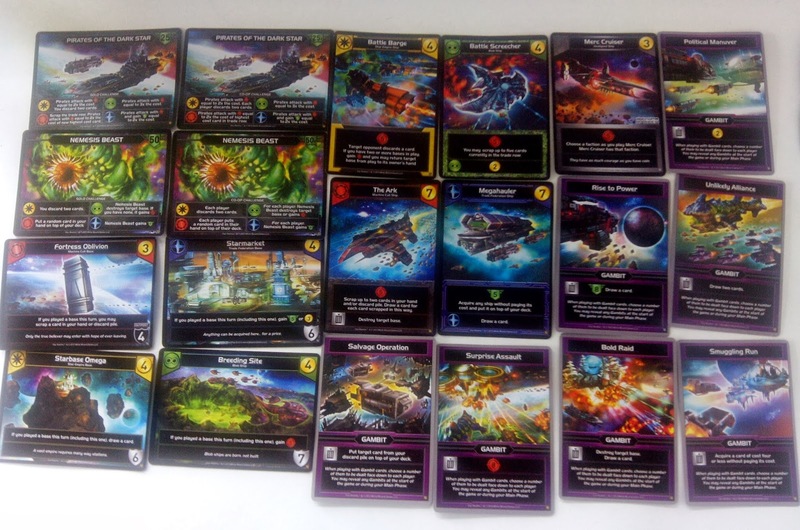 Star Realms Gambit Expansion Released! The Gambit Expansion for the digital version of Star Realms has been released and is available as an iap, or from the Official Website for $3.99. The Gambit expansion requires the full version of the original game ($4.99), after purchasing you will be emailed a code to input in game.